I saw something beautiful the other day while walking down Breckenridge Lane. In a front yard not far from my home, a young mother was removing a layer of sodden leaves from a flower bed in preparation for planting—an ordinary activity in the middle of an ordinary day. What was extraordinary about this scene was what I saw beside her. A tow-haired boy, perhaps three or four years old, was attempting to assist her. 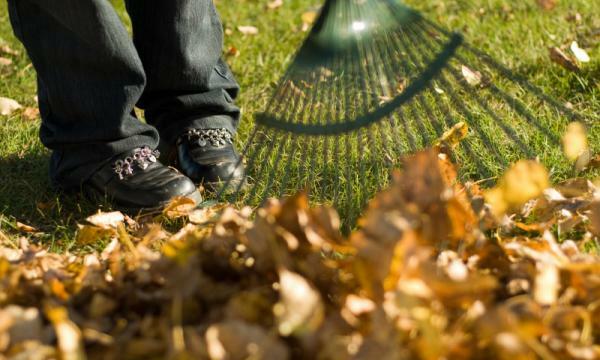 His rake was man-sized, his movements were far from efficient, and he was leaving more leaves than he removed. If this woman’s sole goal for the afternoon was leaf removal, her best bet would have been to plop her preschooler in front of a television to watch professionally-produced children’s programs that pretend to equip children with skills for life while leaching away their capacity for meaningful relationships. If she had chosen this option, this young mother could have pursued the goal of planting spring flowers far more efficiently. But this woman had a goal that was bigger than any flowerbed. This woman understood that her deeper purpose on this day was not to improve a yard but to shape a soul. She was teaching her child the value of work and partnership and family structures (in addition to which side of a rake is supposed to be turned toward the ground). She was an amateur, in the best and oldest sense of the word “amateur”: someone who engages in a particular activity because of love. She probably possessed no transcripted credentials in motherhood or leaf removal. But that was all for the best anyway because no credential can develop in a child what this mother was engraving in her son’s soul this afternoon. So what does all of this have to do with family ministry? If that’s the way you feel, you’re partly correct. If your primary goal is organizational efficiency, equipping parents probably is an inefficient use of your time, and turning over children’s spiritual lives to professionals at church would make perfect sense. But efficiency is not the goal of gospel-motivated ministry. The crucified and risen Lord Jesus determines the shape and establishes the goal for his church. And it has been his Father’s good pleasure to constitute his church as a conglomeration of amateurs, not as a corporation run by professionals (1 Cor. 12:4–31). The Spirit does not give gifts for the purpose of making the church efficient; he arranges the gifts in the body according to his will to make us holy (1 Cor. 12:11). The role of God-called leaders in the church is to encourage, acknowledge, and equip fellow members of the church (Eph. 4:11–13) to serve as ministers and missionaries first within their own households, and then far beyond their households (Acts 2:39). These processes are not likely to be quick or efficient. Sometimes, it may feel as if professionalized programs would be an easier solution, but no church program can develop in a child what parents are able to engrave in their children’s souls day-by-day. And so, despite the apparent inefficiency of equipping parents as primary faith-trainers, family-equipping ministers persist in their passion for training fathers and mothers to disciple their children. My name is Timothy Paul Jones, and I love living in the city of Louisville with my wife and daughters. I serve as associate professor of leadership and as associate vice president at The Southern Baptist Theological Seminary. Here, I invest my time in mentoring a rising generation of God-called ministers of the gospel. I also edit The Journal of Discipleship and Family Ministry and write books in the fields of history, apologetics, and family ministry.